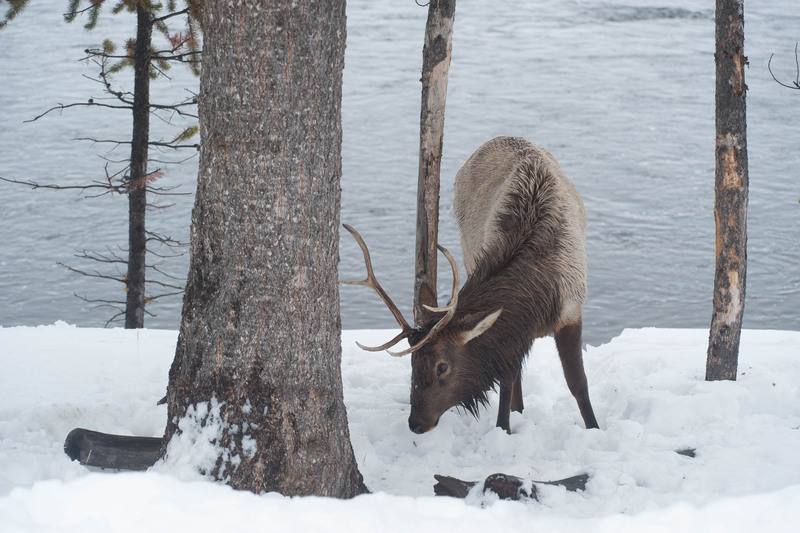 Winter is our favorite time of year to explore Yellowstone National Park. Bozeman Airport, BZN, is the primary arrival point for winter adventures in the area. West Yellowstone Airport is closed, the South Entrance to the Park via Jackson Hole is closed, and the Billings Airport is not a good choice because the Beartooth Pass is closed adding an additional 3-hours car time. There are only two entry points into Yellowstone National Park in the winter. The north entrance, via Gardiner and Mammoth Hot Springs is the only one that is open to vehicular travel. West Yellowstone is only open to over-snow travel; snowshoes, cross country skis, snowmobiles, or snow coach. Regardless of your choice, West Yellowstone or Gardiner, a 4wd or all-wheel drive vehicle is an absolute must. The Park Service does a very minimal job maintaining roads and Yellowstone is one of the harshest winter climates in the lower-48. Consequently, at any given time roads may be a sheet of ice. The road from Gardiner to Cooke City is the only road in Yellowstone that is kept open to the public in winter. This road in the winter, through the Lamar Valley, offers the best chance to see wolves in the wild perhaps anywhere in the world. Just keep an eye out for the patrols of ‘Wolf Geeks’ (a group of people, many of which spend every day of the year looking for wolves), and you will find the wolves. 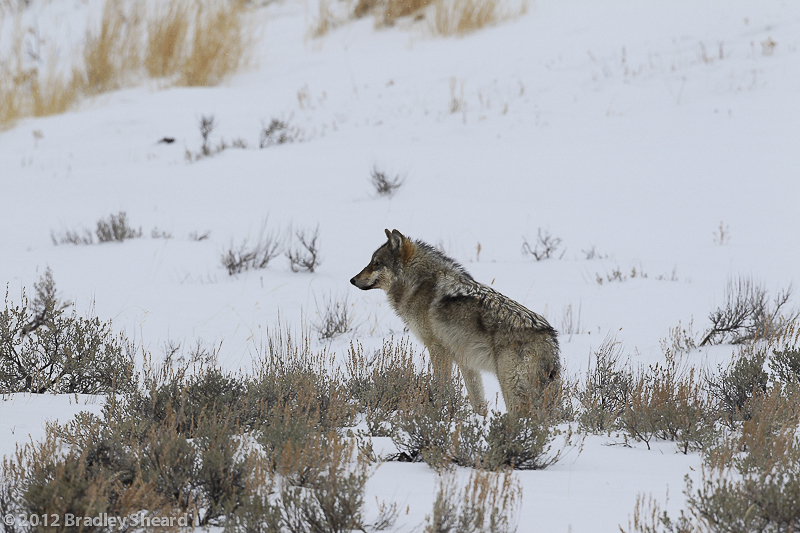 Along with wolves, you may also see coyotes, foxes, bison, big horn sheep, elk, and antelope. The Geyser Basin, centering around Old Faithful, offers a different winter experience. This area is only accessible via over-snow travel. Many of the thermal areas are literally ‘hot spots’ for wildlife viewing. This area also receives significantly more snow than the northern and eastern Lamar Valley. Thermal areas in the winter can be a photographers paradise. Even if your primary goal is skiing in Big Sky for the week, it is definitely worth taking a day to do a snowcoach tour out of West Yellowstone. For those that are coming specifically to explore Yellowstone in the winter, you will find a wildlife viewer’s and photographer’s dream. Give us a ring at 406-922-0179, or book online now to reserve your all-wheel drive or 4wd vehicle and enjoy everything Yellowstone has to offer throughout the winter. All photos are courtesy and copyright of one of car renters, Brad Sheard.